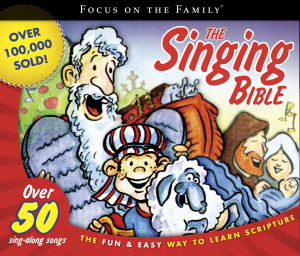 The Singing Bible includes 50 original sing-along songs. It sets Scripture to music and includes memorable lyrics and tongue twisters, making understanding the Bible an exciting journey. This collection of 4 CDs is fast-paced and perfect for use at home or during car trips. Lyrics included. Song titles include "God's Promise," "Noah Built a Boat," "The Bible Book is True," "Joseph's Dream," "Psalm 23," "Listen to Wisdom," "Daniel," "Elijah," "Jonah and the Whale," and many more! 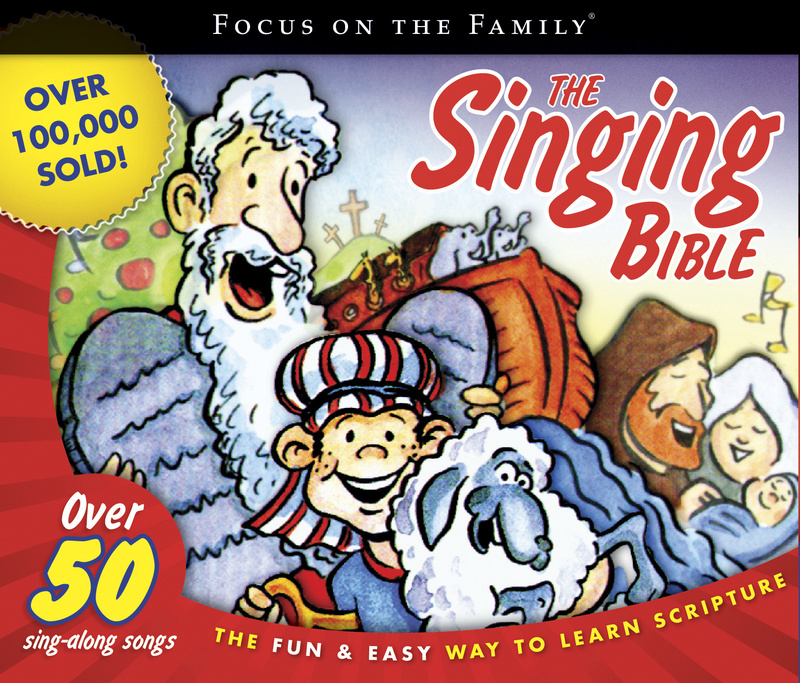 Singing Bible Audio Cds by Focus on the Family was published by Tyndale House Publishers in December 2009 and is our 27226th best seller. The ISBN for Singing Bible Audio Cds is 9781589974630. Be the first to review Singing Bible Audio Cds! Got a question? No problem! Just click here to ask us about Singing Bible Audio Cds. What type of songs are on The Singing Bible Audio CD and what age is it recommended for?